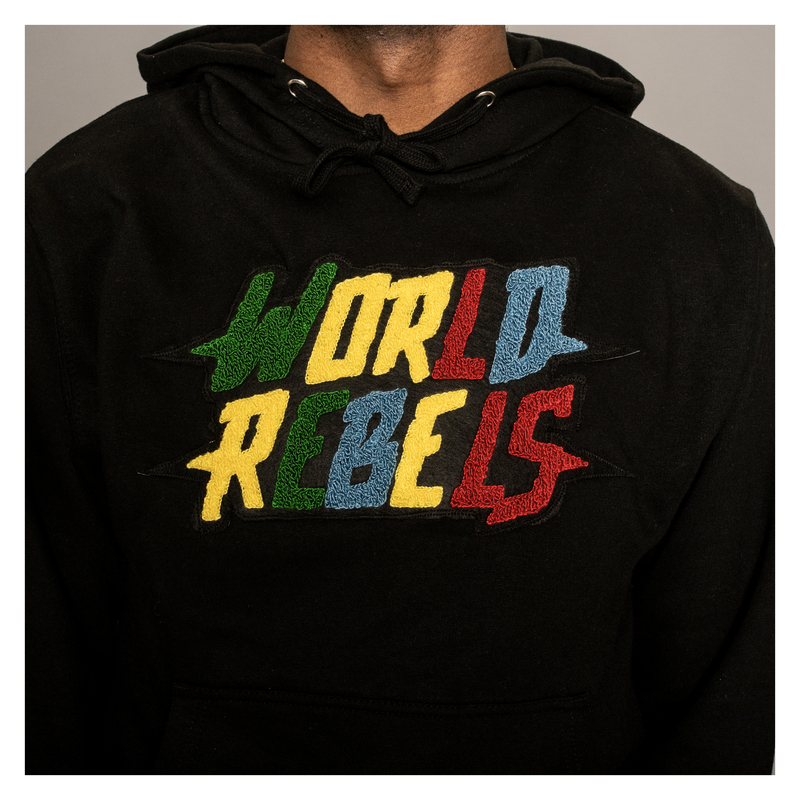 The World Rebels™ “LEGOS” pullover hoodie contains a center chest chenille patch of the World Rebels text logo, and the World Rebels™ political flag on the right sleeve, rear mascot neck print towards bottom of hood when worn down, with woven sizing label and mascot hem label. 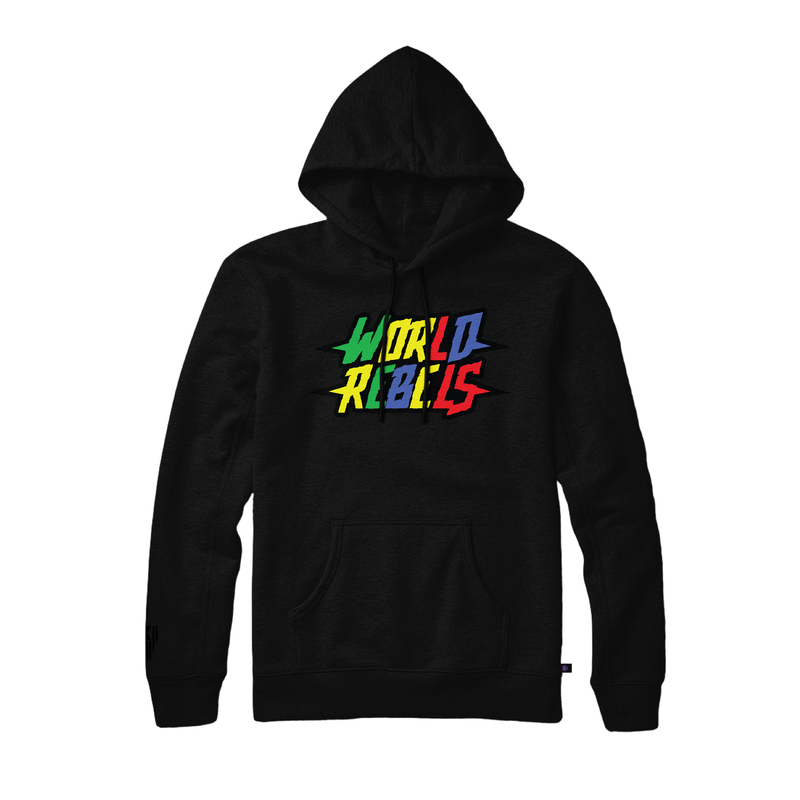 World Rebels™ LEGOS pullover hoodie. Printed on an 8.5oz 80% Cotton/20% Polyester with 100% cotton 20 singles face yarn. 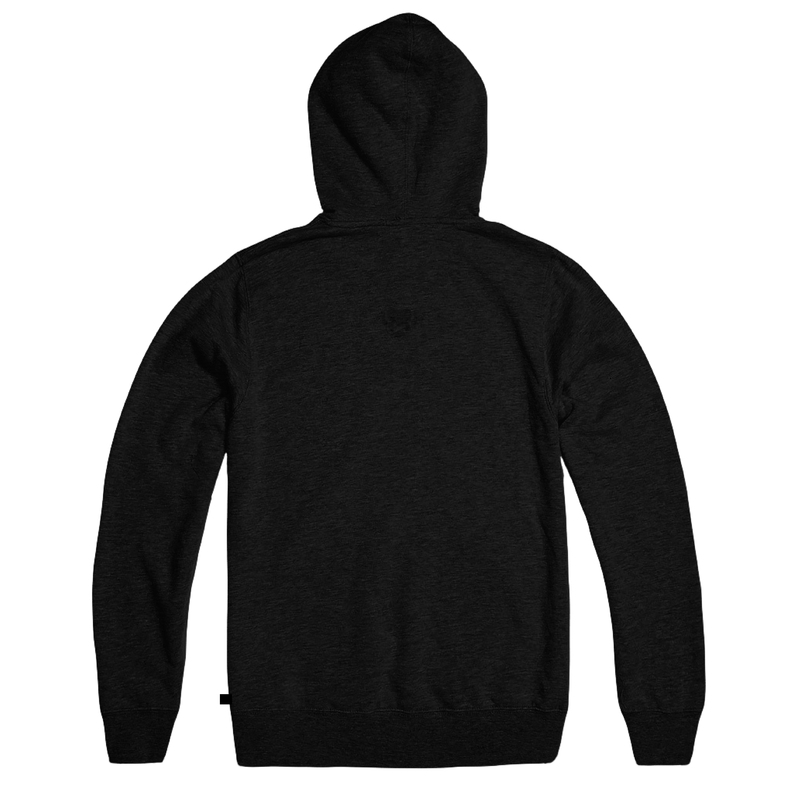 Has a comfortable loose fit. Purchase one size down for a snug fit.